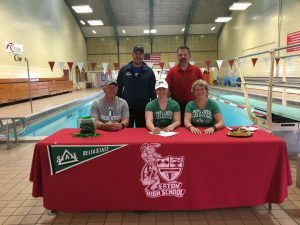 Congratulations to Rylee Daniels for signing to swim for Delta State University in Mississippi. Rylee is pictured signing her letter of intent with mom and dad (Gary and Tammy), club coach (Kirk Witulski) and athletic director (Steve Longwell). Congratulations Rylee!! !